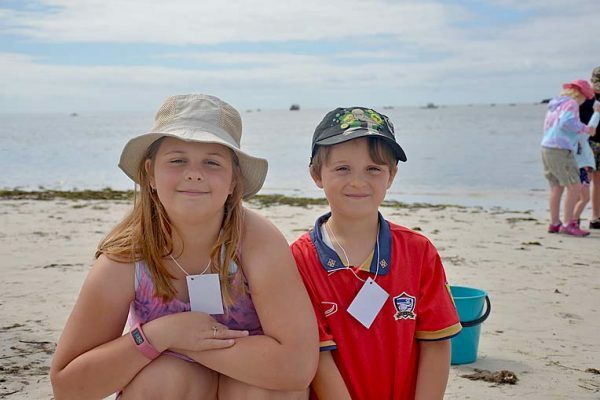 FAMILY FUN: Emma and Luke Gurney enjoy their time together in Port MacDonnell with the Coastal Connections activity. BEACH explorers young and old learnt about the South East environment on Monday morning as they took part in the Coastal Connections school holiday program. Held in Port MacDonnell, the group of 19 discovered what wildlife lives in the region and how to better protect the environment. Ecologist Rebecca Phyland led the eager group of locals and tourists through a range of games and fun activities as they explored the fundamentals to a healthy ecosystem.